Mens belt no buckle for 916 gold buckle! Look at the intricate workmanship on this solid 916 gold buckle! As per normal, you DON’T JUST THROW GOLD BUCKLES AWAY. 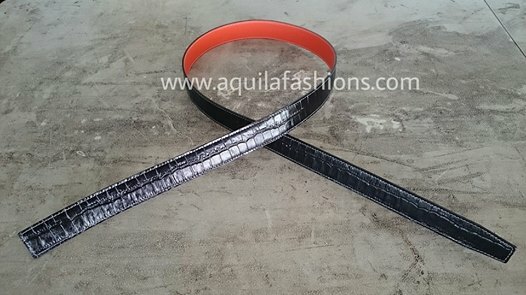 Therefore, the other alternative is to have Aquila Fashions custom and replace the belt for you! : P Also, with us, you need not stick to black. You can even choose colours that match you custom made bespoke leather shoes or watchbands! Then again, if a gentleman sports a 916 gold buckle like the photo above, he’s likely to be a traditional chinese man and wouldn’t be interested in funky colours! Black mens belt will do! Detailed instructions for purchasing replacement leather belt straps without buckles can be found in our replace leather belt straps page. This is very, very, very, very very, very traditional chinese. Well the girl came to us with her dad’s gold buckle (yeah it’s the kind bought at the goldsmith’s, ie solid 916 gold). Brand new belt for the buckle that CAN’T BE THROWN AWAY. Full-grain quality leather belt strap tailored to the buckle width and required length. Please look at our detailed instructions for purchasing replacement belt straps without buckles at our replace leather belt strap page. 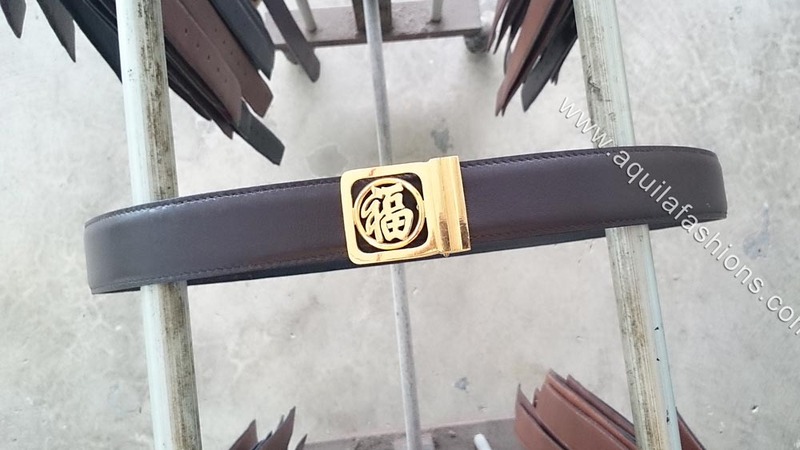 ‪Customized‬ mandarin character buckles. 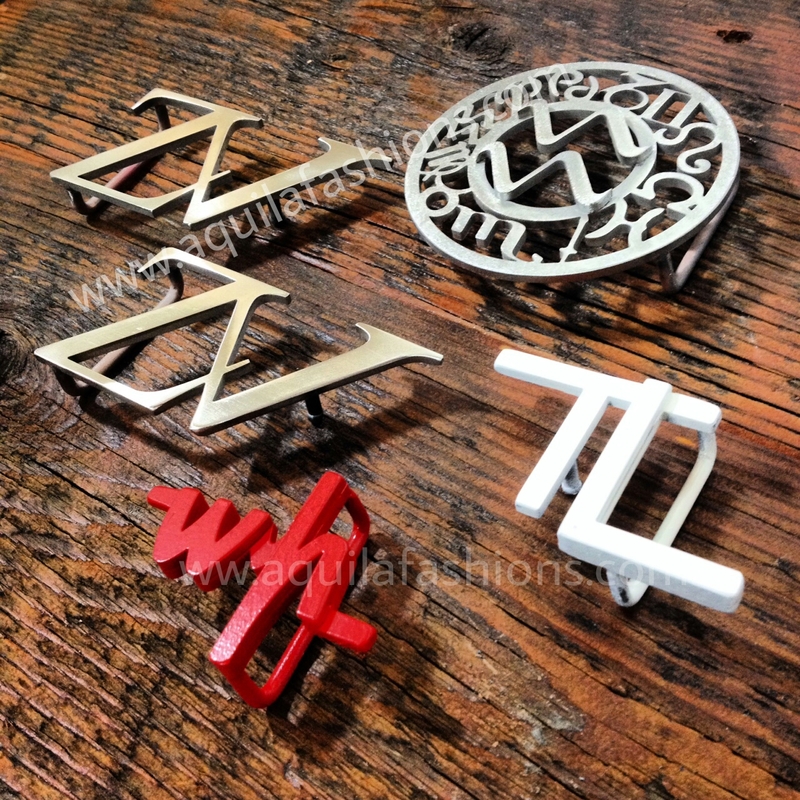 Cufflink-buckle set available. 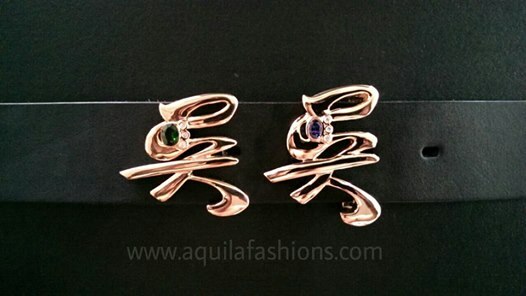 English initials or other languages customizable too. Definitely unique customized gifts for the Singapore boyfriend, dad, him! Solid 925 sterling silver. Available in solid gold too. Easily interchangeable with more than one belt strap, each reversible sporting two colours top and bottom! Additional leather belt without buckle can always be custom made with us at a future date! See our portfolio and detailed instructions on customizing your buckle at our Customize a buckle page! Finally arrived! The one on the right is the correct size that my customer needs! 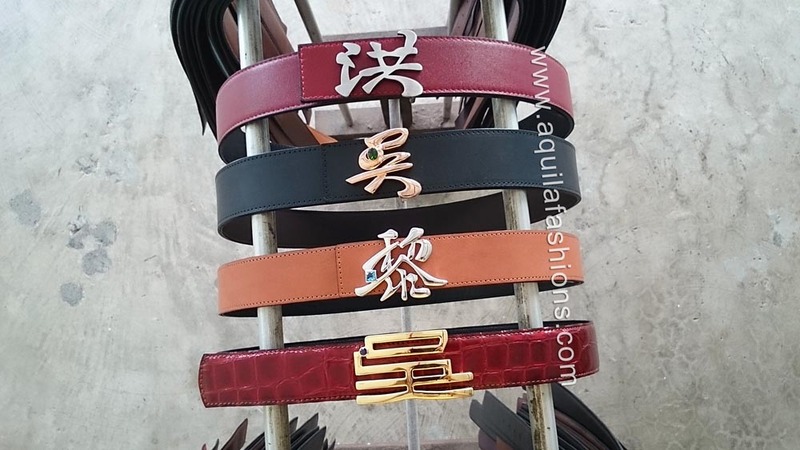 #Personalized chinese surname “Goh” buckle. #Diamond and #sapphirestudded. One Goh buckle, one #Hermes buckle, both to be interchangeably used with three #customized 42mm width reversible belts. 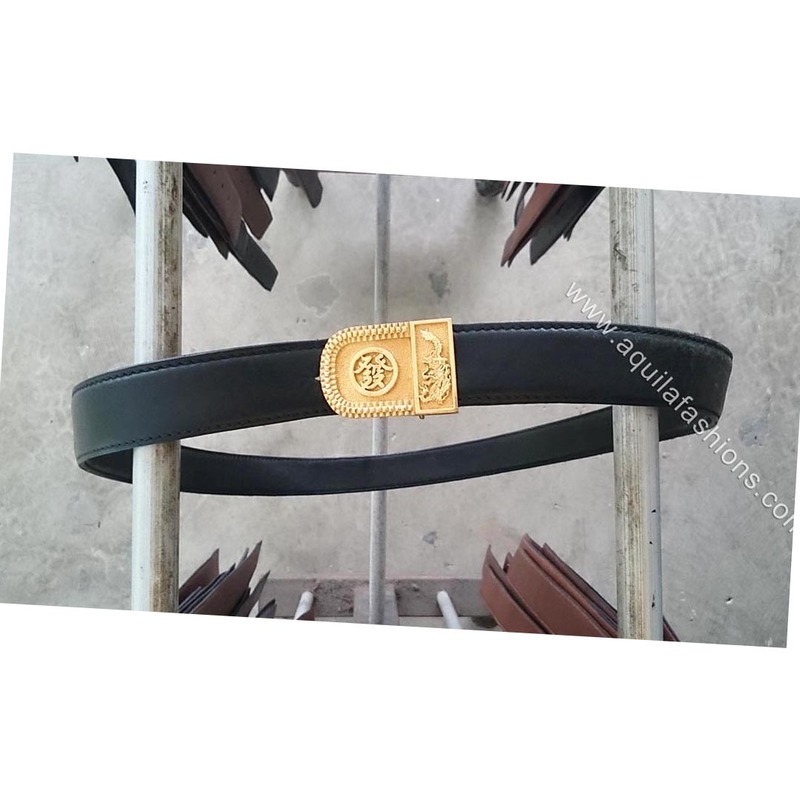 Leather belt for Hermes buckle again!! There we go! 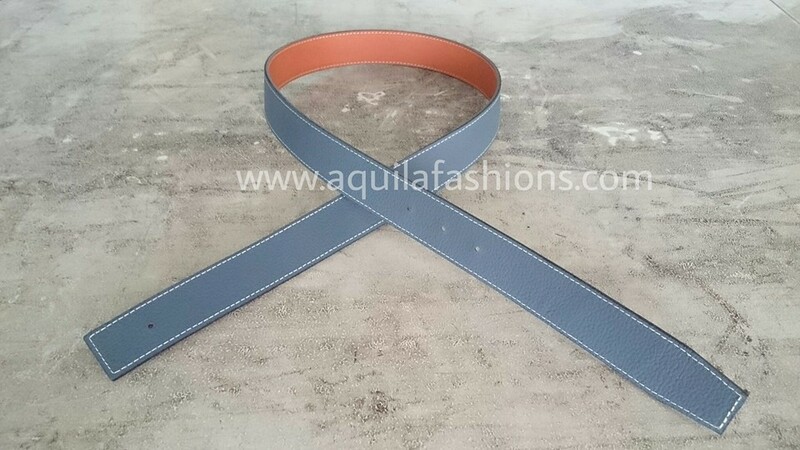 Another leather belt colour combination for a customer’s 32mm Hermes buckle without the belt! Black mock crocodile and orange colours. 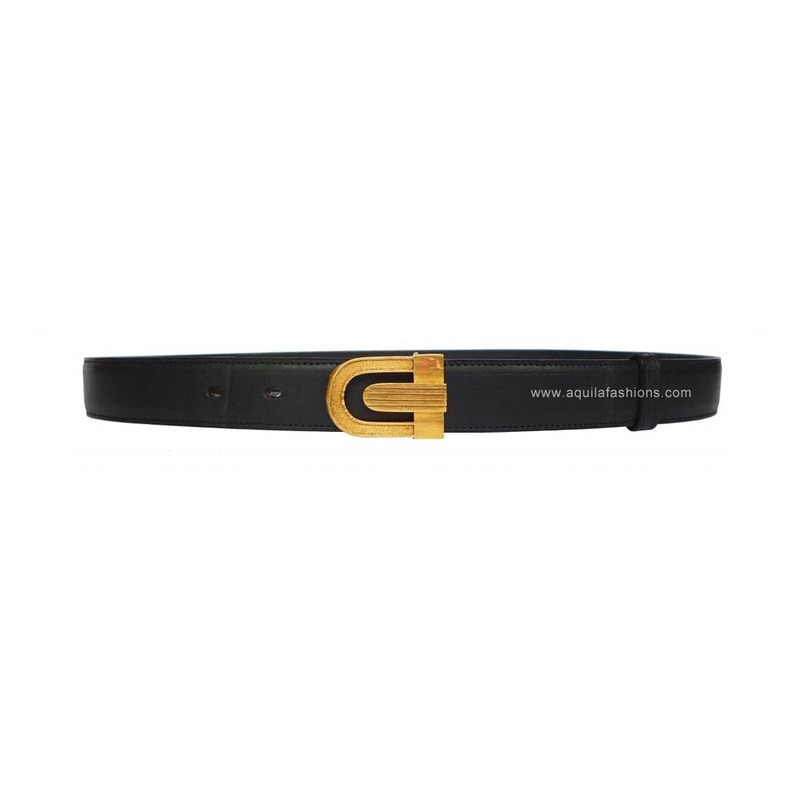 With the relevant dimensions such as length and width we can tailor the belt exactly to the size you require! Yet another colour combination! 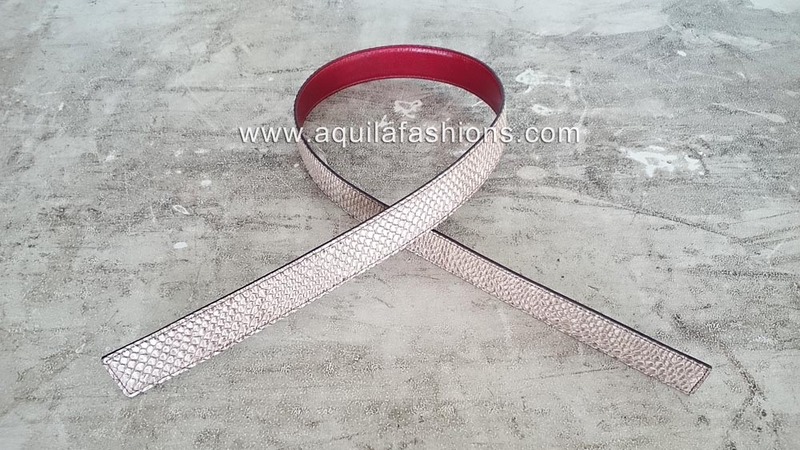 Red-off white snake skin belly leather belt straps without buckle for Hermes 32mm buckle! Please follow the instructions here! 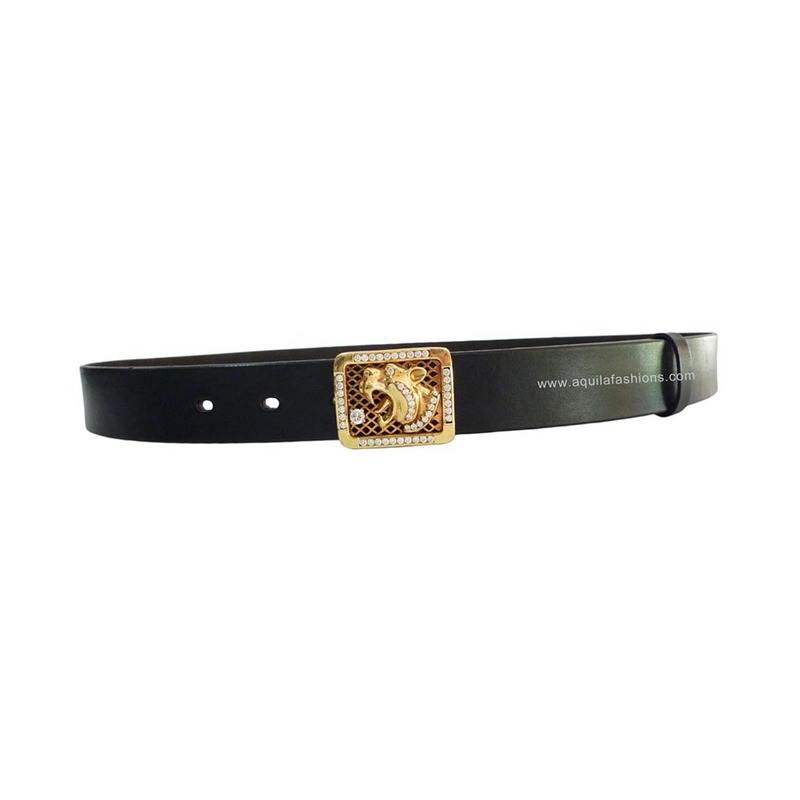 View our specially tailored full-grain genuine leather belts for Hermes buckles in our portfolio! New leather belt for Hermes buckle! Another belt made for the 32mm Hermes buckle! 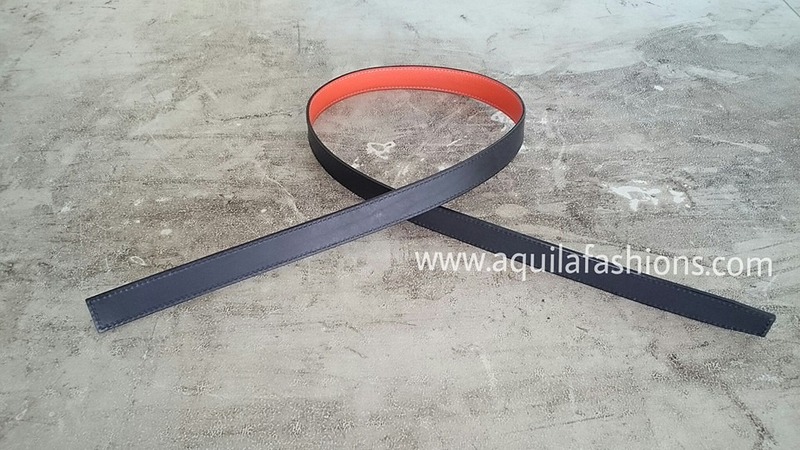 This time round a black-orange reversible leather belt! 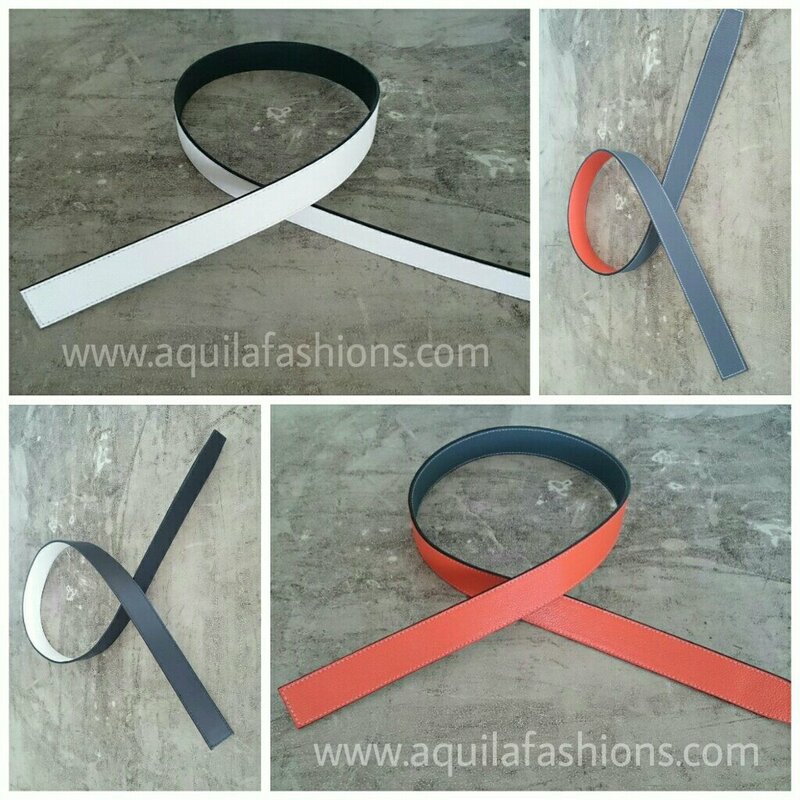 Among the most popular colour choice for our range of replacement belt strap for Hermes buckle! 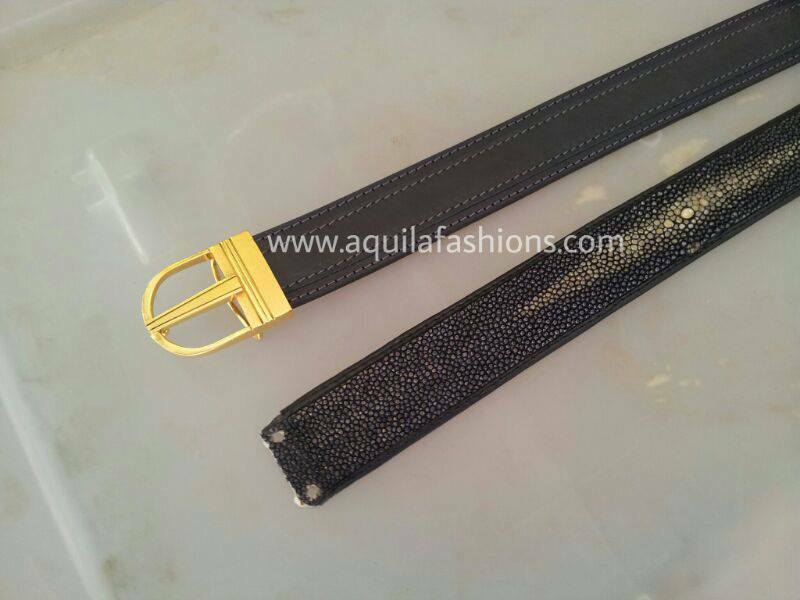 Custom leather belt for diamond studded gold buckle! Detailed instructions for purchasing replacement leather belt straps without buckles can be found in our replace belt straps page. Post: belts for Hermes buckle on the way to France! Hermes replacement belt straps on the way to France! On the way to France! Two reversibles for 32mm Hermes buckle. White-navy blue and orange-ivory blue! View our specially tailored full-grain genuine leather belts for Hermes buckles in our Pinterest portfolio! Real 916 gold I reckon? Note that buckle shape has distorted slightly? Well I wasn’t going to test the authenticity of someone else’s gold buckle by biting it to see if it is soft enough to have teeth marks left in it LOL! Replaced his old belt with a new mens belt nevertheless. 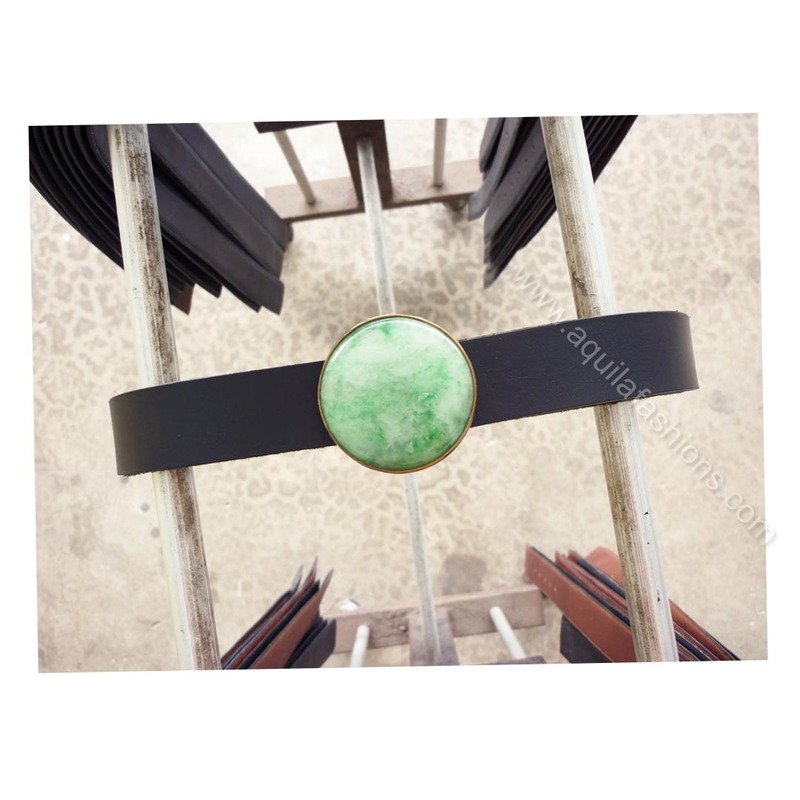 High quality leather belt strap no buckle for sale! Detailed instructions for purchasing replacement leather belt straps without buckles can be found in our replace leather straps page. Which buckle is this belt for? Hermes buckle! Three holes on one end and one hole on the other. Both sides stitched up. Latest batch of personalized buckles! Mostly as gifts from ladies to their men! Boyfriends, husbands and brothers! SGD 300.00 flat for all sizes complete with belt. Stainless steel or solid brass. Silver or gold options available (prices differ).